By the time you’re halfway through this article, I hope you’re craving a nice toasty-warm mug of hot cocoa. Not the super-sweet stuff you remember from kidhood—made with high-fat milk and a sugary fake “chocolate-flavored” syrup—but a palate-pleasing yet calorie-conscious grown-up version. Why do I want you to head for the stove? Because hot cocoa’s key ingredient (the cocoa!) is packed with nutrients that benefit your body and brain. For instance, recent research suggests that cocoa’s antioxidant flavanols and other healthful components may help prevent clogged arteries, improve circulation and reduce blood pressure…combat inflammation…keep your mind and memory sharp…and even make it easier to keep weight under control. 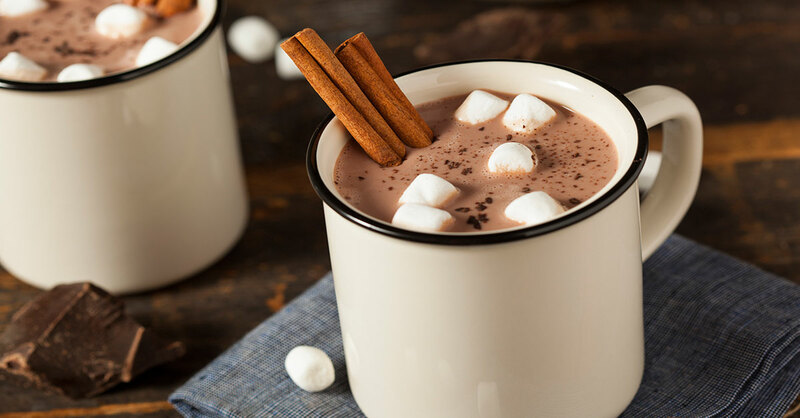 For tips on transforming sticky-sweet kid-style hot cocoa into a super-healthful and tasty beverage with adult appeal, I turned to Janet Bond Brill, PhD, RD, LDN. As a nutrition, health and fitness expert and author of Cholesterol Down: 10 Simple Steps to Lower Your Cholesterol in 4 Weeks—Without Prescription Drugs, she had lots of smart suggestions and creative recipes to share. Cocoa. Use natural unsweetened cocoa powder. Stay away from “Dutched” cocoa or anything labeled “processed with alkali,” Dr. Brill recommended—it undergoes processing, including alkalizing, that depletes disease-fighting antioxidants. Milk. If you go with cow’s milk and want to limit your fat intake, Dr. Brill suggested using 1% or fat-free milk. But cow’s milk isn’t your only option—there are plenty of unsweetened alternatives to choose from. (If you do choose a presweetened brand of milk for any of the recipes below, eliminate or reduce the amount of sweetener suggested in the recipe.) Tasty options to try: Almond milk, which has fewer calories than skim cow’s milk and is rich in calcium and vitamin E…oat milk, which provides a type of fiber that may help reduce cholesterol…hemp milk (derived from shelled hemp seeds), which contains fatty acids believed to fight heart disease and arthritis…rice milk, which tastes much like cow’s milk but can be tolerated by some people who are allergic to cow’s milk…or regular or light (reduced-fat) soymilk, which contains heart-healthy soy protein. Sweetener. Experiment to see how little sugar you can add to your hot cocoa and still satisfy your taste buds. You may be pleasantly surprised at how the other flavors come through when they’re not overpowered by sugar. Or swap sugar for a low-calorie sweetener, such as Splenda or stevia. Spices. Cinnamon, nutmeg and ginger are packed with disease-fighting antioxidants. Experiment with these and other favorite spices and flavorings to put your own personal spin on your cocoa. In a large microwavable mug, mix cocoa powder with sweetener. Stir in milk, vanilla extract and other spices if desired. Microwave on high for 60 seconds. Stir, then microwave for another 60 to 90 seconds or until steaming (do not allow to boil over). Place almond milk in a small, thick-bottomed saucepan over low heat and bring to a low simmer, whisking as needed so milk doesn’t stick to the pan. Add the vanilla bean and cinnamon stick. Remove from heat and steep for 10 minutes. Strain the milk, discarding vanilla bean and cinnamon. Return the milk to the saucepan and place over low heat until simmering. Add sweetener, vanilla extract and cocoa powder. Whisk vigorously until cocoa has blended. Heat over low heat for four minutes or until steaming, constantly stirring. In a saucepan, mix cocoa, sweetener, cornstarch and cinnamon. Whisk in six ounces of the milk to dissolve dry ingredients and create a thick paste (like chocolate frosting). Add the remaining six ounces of milk and whisk until smooth. Place over low heat and stir until steaming (do not boil). If desired, top with fat-free whipped topping to complete your guiltless splurge.